Not all candidates like us. Some are frustrated with recruiters because their applications get rejected, others are angry because they never hear back. As recruiters (and humans), we accept that – it’s part of the job. However, maybe it doesn’t need to be something that’s a given. How can we change negative opinions into positive ones? It was this question that drove me to survey people who are currently looking for employment. My goal was to gather raw material and feedback that will help us all become better at what we do on a daily basis. Though some comments hurt a little, the reality is they are accurate in their own right and can get us to reflect on how we do our jobs. In essence this is true, however, I’m assuming the candidate who wrote this comment was applying to jobs they aren’t qualified for they can’t get through a recruiter. Our job is to funnel through applicants and only allow the absolute best to rise to the top to allow contact with the well-protected hiring manager or team. But at the same time, these candidates may be buyers of your company’s products, a fan of your services, or a huge advocate for your business. So, you don’t want to make them feel like you’re a gatekeeper to something they support. What’s the solution? Easy: communication. That response shows the candidate that they got through the “gatekeeper” and were turned down by the hiring manager. I’m not proposing we allow our candidates to email our hiring managers directly and bog down their inbox (We would all lose our jobs.) I’m suggesting our communication evolve from candidates thinking the recruiter has all the “power” and that we don’t want people to get past us to we are a partner who wants to find the best talent for the company as well as set the candidate up for success. Ouch, that one hurt. Making false promises isn’t ever acceptable and it shouldn’t be hard to tell the truth and provide honest expectations. In my previous article, I go into more detail about how you can connect with candidates and following up is a key component. Sometimes things don’t go smoothly. The important thing is communicating what’s going on to the candidate. For example, I once extended 2 offers to Senior Software Engineers in one day. They were both extremely excited. A couple hours later, I found out I had needed to get the approval from the CTO in Scotland before moving forward. You can imagine my stomach dropped. The offers were already extended. I quickly realized that all I could do was tell candidates the truth – that there was still once more person to go through. I dreaded the conversations but I muscled up and called them both. I explained everything and apologized for the whole ordeal. They were both very understanding and even emailed me that evening to ensure that I wasn’t losing sleep over it and they respected me for being honest. We all have hiring managers who usually take at least 3 days of hunting down to receive feedback. So tell the candidate it will take 7 business days - under promise and over deliver. If you’re working on an opening that you know may be cancelled or shut down, let the candidate know you’re exploring the market. Explain that you would like to open the line of communication and have them speak to some people, but you aren’t sure, at the moment, if the role will be filled immediately. As for stereotyping someone into one role when they may offer other skills, that’s 100% our and we need to open our minds and think outside the box. We all evolve and outgrow our jobs in time. My motto is, “Allow a Star to Shine.” So if someone is wanting to move into another department or team, it’s our job to be supportive and allow them to shine. When I read this, I became defensive for a moment and thought, “Maybe they need applicant etiquette training!” I quickly snapped out of it and took a look in the mirror. Have any of you had someone close to you looking for a job? Have any of those people come to you all excited about an interview they felt went great? Finally, have any of those people then come back to you a week later very upset and down on themselves. The recruiter told them they would hear back with an answer in a couple days, but they haven’t heard anything. I’m sure you felt bad, were upset, consoled them, and provided your professional opinion. So treat applications like you would treat a friend. Follow up with them, thank them for their time, and show sincere appreciation for them taking the time to interview with your company. When you say you will call, call. When you say they will hear from you, reach out. When you say you will be in the office and to stop by, be there. We interview people for a living and we have candidates in and out of our offices all day. It’s easy to become desensitized to the amount of stress and build up these candidates go through to meet with our companies. Knowing this, pay them a compliment. Notice new shoes, nice haircuts, and new suits. Acknowledge their nerves and make an effort to make them feel comfortable. You have no idea what is going on in their personal life or the road they took to get to the meeting with you. Take a step back, be human, and connect with each and every candidate. Everyone who knows me personally, knows I always leave a conversation on a positive note. This article wasn’t meant to make you feel bad about your profession. My goal is to give the candidates a voice so we can all be better at what we do. There were actually MORE positive comments about recruiters than negative. 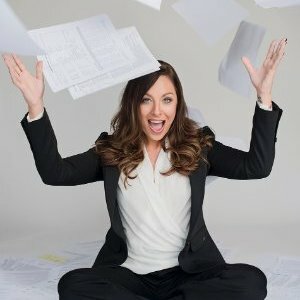 Alysse Metzler is a Recruitment Executive/HRBP at FanDuel, Inc. and the author of “The Recruiting Snitch, Recruiting Secrets to Help Land Your Dream Job."